Explore the outer coast of Pohatu Marine Reserve and marvel at its spectacular towering cliffs, rock stacks, reefs, and deep sea caves. 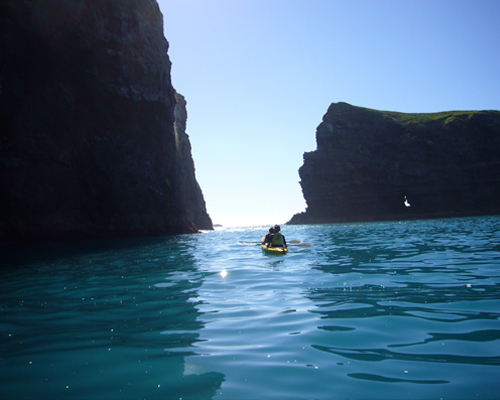 Flea Bay Island and the impressive island arch make an added exciting attraction in settled sea conditions. 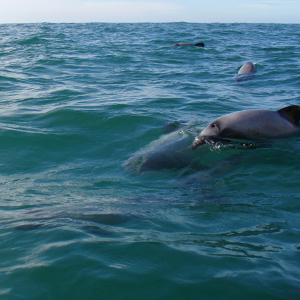 Observe the diverse wildlife and marine species such as penguins, seals, various sea birds and possibly the world’s smallest dolphin! Best of all, no experience necessary! Trips are only run in settled, safe conditions by experienced and knowledgeable guides. Your safety is our top priority. Tour Length: 3.5 hours total. 1 – 1.5 hours on the water depending upon conditions and wildlife. Tour Length: 4 hours total. 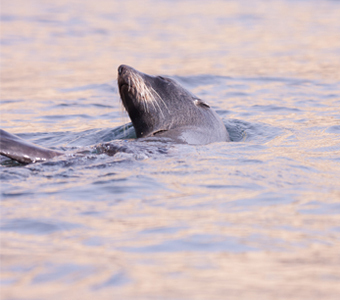 1 – 1.5 hours on the water depending upon conditions and wildlife. Scenic drive with photo stops and commentary included. Able to drive yourself for either the Early Bird or Afternoon Kayak. Please call our office so that we can arrange to either meet you in Flea Bay or so you may follow our van from Akaroa. PLEASE NOTE: The drive to Flea Bay is on a steep, narrow, gravel road with some oncoming traffic; you must be comfortable driving in these conditions and must have a 4WD vehicle. Comfortable, weather-suitable clothing that you don’t mind getting wet. We prefer that children are at least 8 years of age. All customers are placed in safe, double kayaks and each child will be paired with an adult. Please bear in mind that your guide has the final say as to whether or not it is safe for you and your child to kayak. This can vary depending on sea conditions, personal fitness and kayaking abilities. Toddlers and or infants are not allowed no matter sea conditions or personal ability. PLEASE NOTIFY US AHEAD OF TIME IF YOU HAVE A CHILD. Following our conversation, if you do decide to book, please bear in mind that the guides on the day will be sole judges if this activity is suitable for your children, depending on weather and sea conditions. If the guides deem this unsuitable a 50% refund will be offered or the option of joining our Full Scenic Nature Safari. 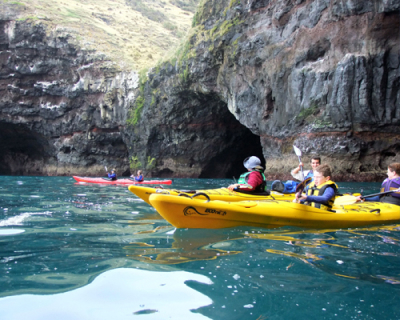 Sea kayaking at Pohatu/Flea bay has risks and can be dangerous. 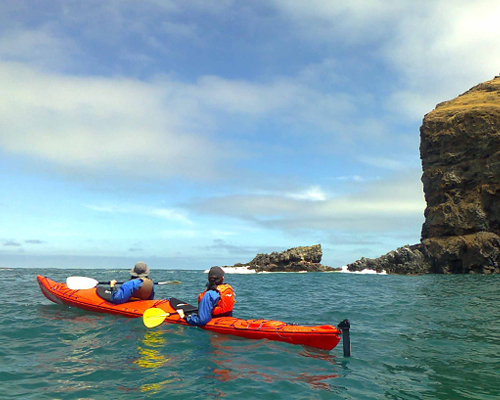 The outercoast of Akaroa harbor is characterised by: remoteness, rapidly changing and sometimes extreme weather and water conditions, cold water and limited kayak landing sites. Detailed risk management and strict safety procedures are observed, however, there still remains an element of risk. Pohatu penguins/plunge NZ Ltd cannot absolutely guarantee participants’ safety. 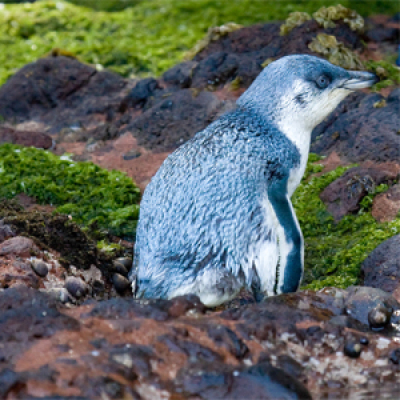 Pohatu penguins/plunge NZ Ltd accepts its legal responsibilities but cannot be held responsible for personal injury or for loss, theft or damage of/to your equipment outside legal responsibilities. Clients must listen carefully to and follow guides’ instructions and adhere to safety requirements.